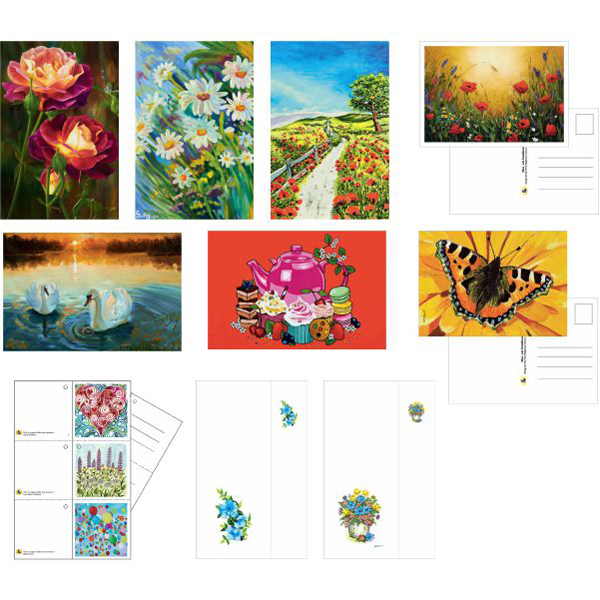 The spring card collection is now available from the Mouth & Foot Painters. With double cards and stationery (including envelopes) as well as postcards and gift cards. And to my great pleasure, one of the gift cards is one of my paintings!